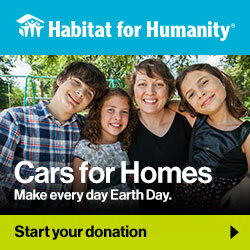 Donate a vehicle to Cars for Homes, Habitat for Humanity’s car donation program, to help support local families. Your car donation is one more way that you can support our work in Williamson County, TX. When you donate to Habitat for Humanity of Williamson County we make it quick and easy. Your donation may also be tax deduction. How do I donate my car in Williamson County, TX?